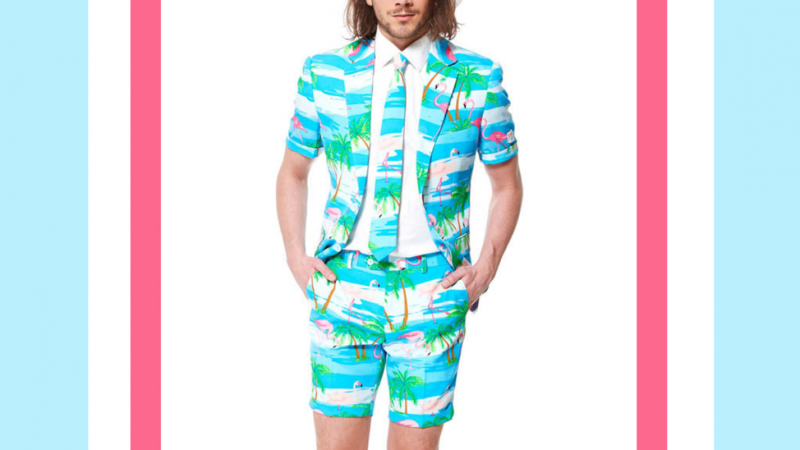 Stand out in any crowd with this bright flamingo summer beach suit. Perfect for anyone who does not like to blend into the background because it is so flamboyant. Everyone will be looking your way when you show up wearing this. You can be certain that you will be easy to spot in any crowd. Amuse your friends and show that your true style is to be the life of the party in every possible way. The suit is available in nine different sizes so there is sure to be one to fit you. Even if bright clothing like this is not your usual style it can be fun to try something very different. Wear it to a beach get together or a costume party. A cool gift idea for your favorite fabulous person. Many outgoing people love to wear clothing that shows of their outgoing and vibrant personalities. If you know someone like this they are sure to think that this suit is just amazing. 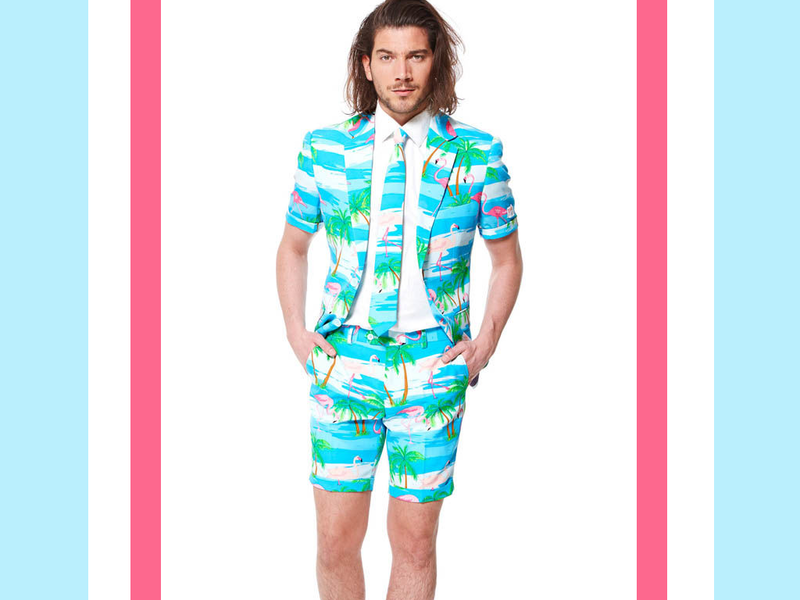 This is a three piece suit comprising a jacket, a tie and shorts. Accessorize with a white or brightly colored shirt and shoes to complete the look. The suit is machine washable and easy to care for so it will be ready to party whenever you are. If you enjoyed checking out this awesome bright suit you might also like the following.